The classic tale of good versus evil set in a galaxy far, far away, quickly became a cultural phenomenon during its tome, inspiring a generation of story lovers and storytellers. Now, the original trilogy of Star Wars shines anew with the vibrant concept art of Ralph McQuarrie, the legendary conceptual designer behind the original trilogy. 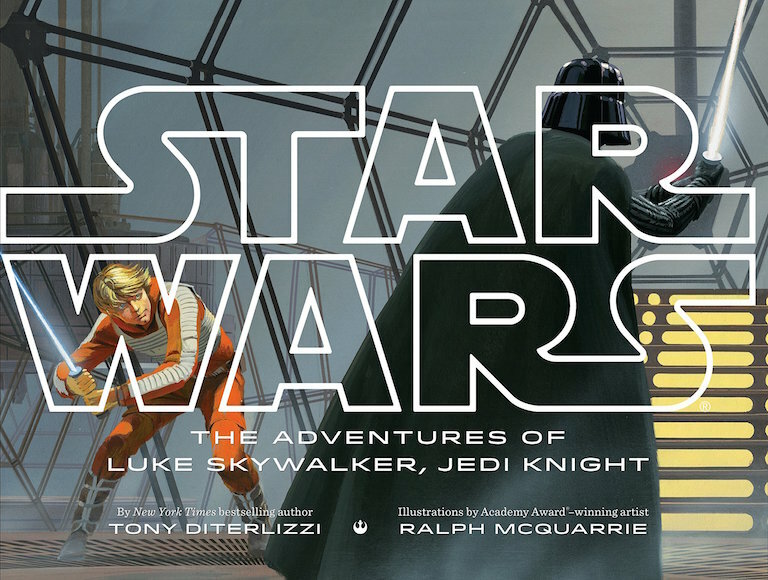 Collected in a picture book for the first time, McQuarrie’s art is paired with captivating text by a high-profile author – a winning combination that will delight Star Wars fans old and new and delight generations of readers to come. One way to encourage reluctant readers is to introduce them to books which are indeed high profile. You can’t get much higher profile than the Star Wars universe! This is definitely not a picture book for young children, although i know many will just adore looking at the pictures while the story is read aloud to them. It will strongly appeal to older kids, especially those who need a little extra encouragement to become involved in a book. Diterlizzi tells this classic tale of good and evil by sticking to the narrative as revealed by the movies, but adding his own panache. There are the exciting sounds of laser bolts - WHAM ! WHAM! WHAM! - as Luke races to find the exhaust port of the Death Star. There’s the MROAR of a tampa ice monster as it attacks Luke’s tauntaun. Each step of the story is accompanied by McQuarrie’s art work, which of course is utterly faithful to the world we know from the movies. 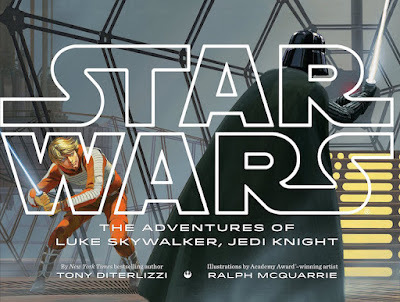 Star Wars: The Adventures of Luke Skywalker, Jedi Knight is an excellent choice for libraries everywhere. I envisage parents and grandparents relishing the opportunity to revisit a world they loved under the pretence of sharing the book with today’s kids. May the Force be with them! Want to celebrate Star Wars Day? Here are some ideas from The Book Chook.